Chris Brown believes it “takes time to heal all wounds”. The 26-year-old went through a messy break up with on-off girlfriend Karrueche Tran earlier this year after it was revealed that he had fathered a child with someone else in 2014. The former couple were recently spotted leaving a Hollywood nightclub at the same time and during an interview with Ryan Seacrest, Chris revealed he still has feelings for the beauty. The Loyal singer secretly welcomed daughter Royalty with model Nia Guzman last year. 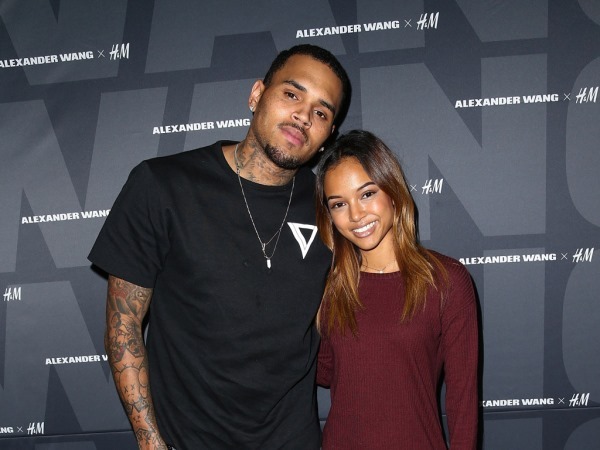 Karrueche was quick to end their relationship once the news broke in March but Chris is hopeful that the passage of time will bring them closer once again. “I want to be honest with you man about it," he continued. "I can't promise anything. I can't you know, jump over the moon. But I think it takes time to heal all wounds, and you know, I take full responsibilities for, you know, my actions, and you know things that I've done in the past. So I just feel like, you know, it's just a time thing." While the star hasn’t been able to repair his relationship, he is working hard to be a good father to his little girl. And after a stint in prison last year, Chris is glad his daughter has helped him focus on a more positive future.